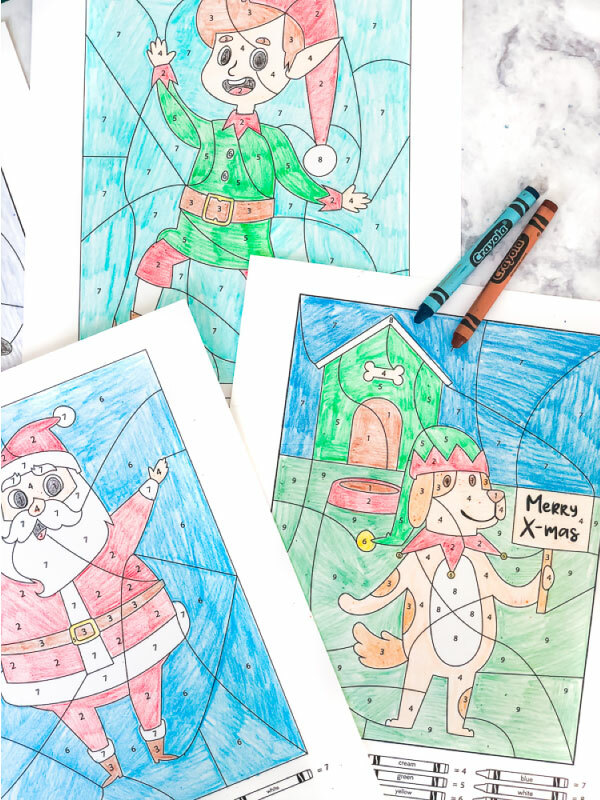 Inside: Download these festive Christmas color by number printable worksheets to keep kids busy during the holiday break! 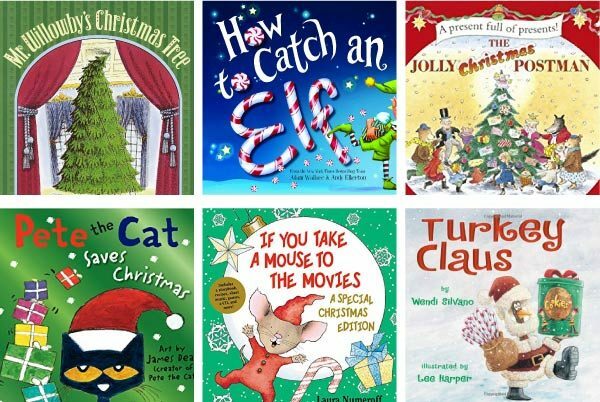 Every year during Christmas break, we look forward to doing at least one Christmas-y thing each day. So far, we have on our list to make this handprint reindeer craft, play with these cheery Christmas tangram puzzles, build this easy paper gingerbread house, make these salt dough handprint ornaments and do all the fun things in this printable Christmas activity pack. 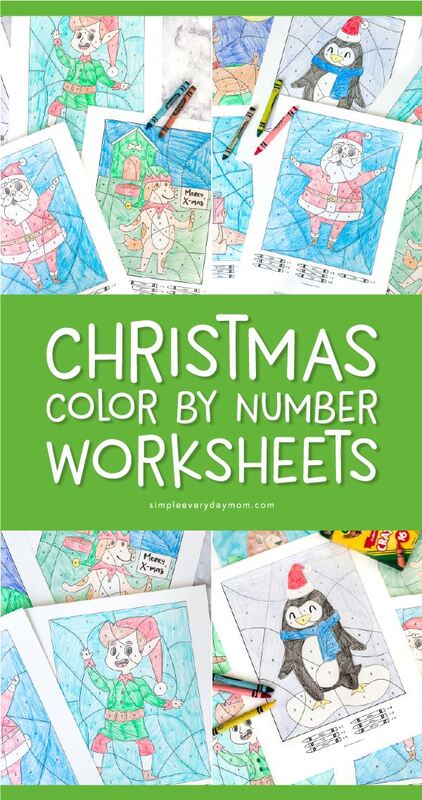 Today we’re sharing these fun Christmas color by number pages. They’re great for those days when you just want something super low maintenance that you can do at home. 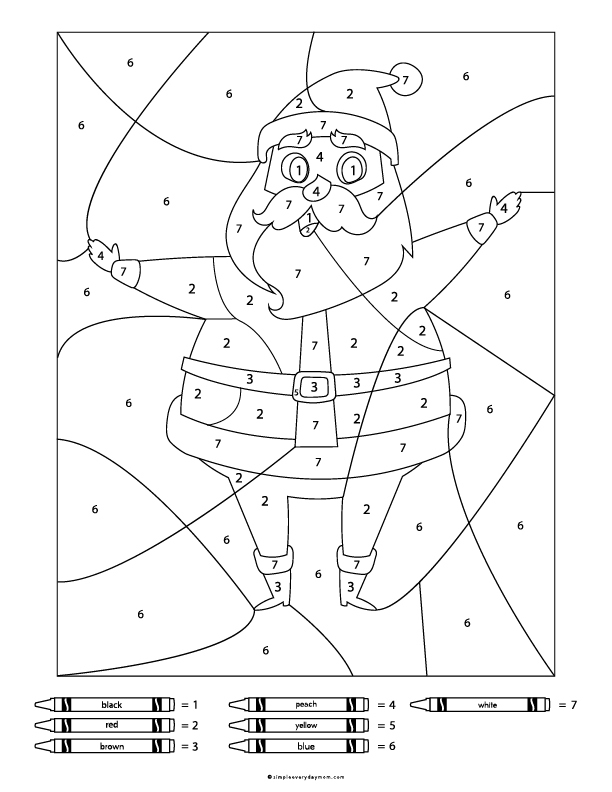 Read on below to see how to grab your own free printable coloring page. 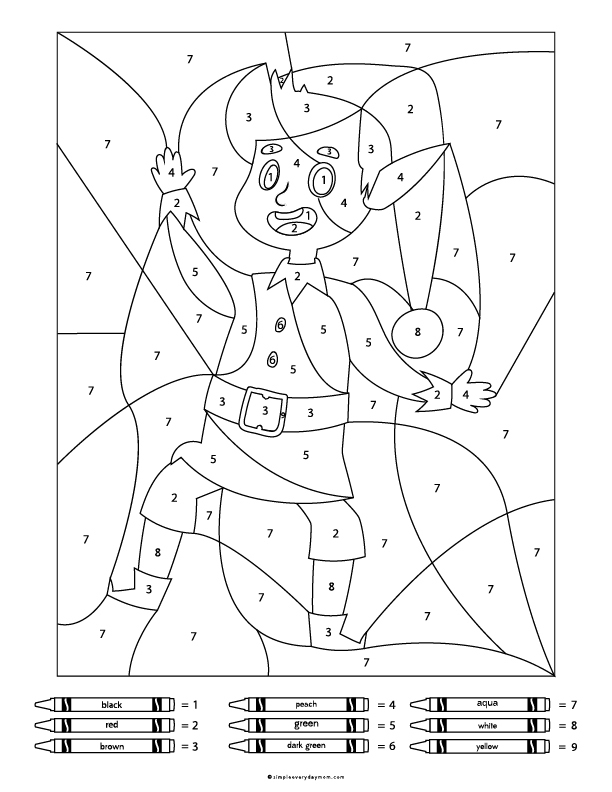 If you are new around here, you may not know it but we love coloring pages of all kinds. As a mom, I especially love color by number worksheets because they’re fun and educational. They help kids learn things like fine motor skills, following directions, color identification, number identification and more! 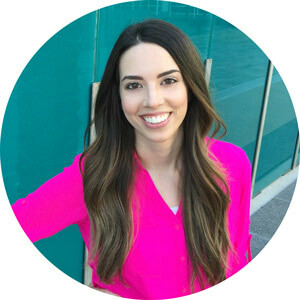 Plus, when we all sit around the table coloring together, it really allows us all to chat and strengthen our relationships. And of course, I don’t have to mention how easy it is too! 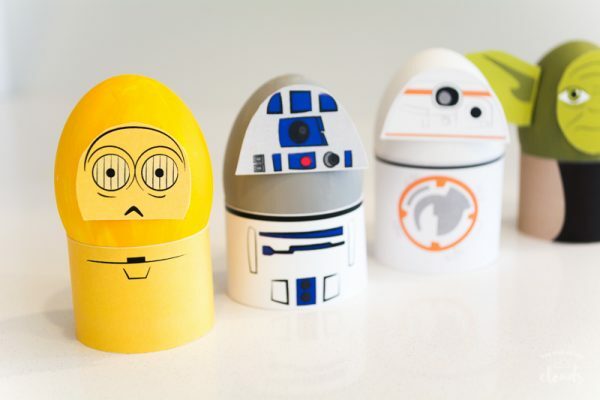 All you need are some crayons and paper and you’re all set. 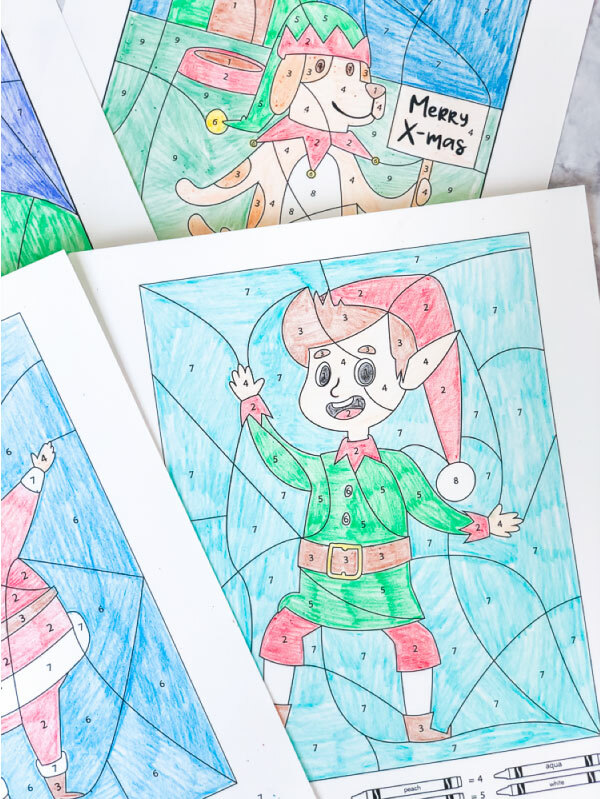 If you’re looking for a simple and mess-free Christmas activity for kids, this one is perfect for you! 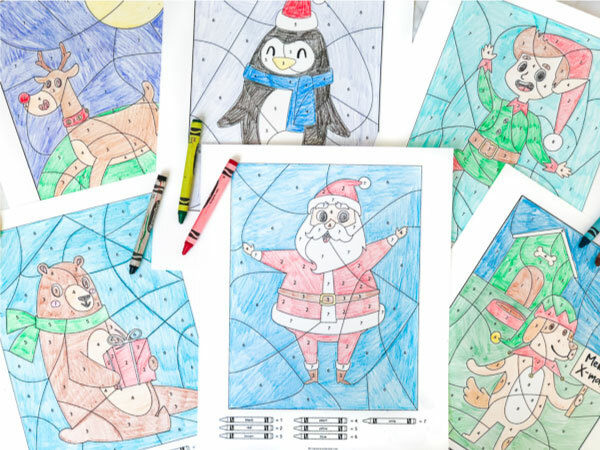 Don’t forget to enter your email in the form at the bottom of this post to download your free penguin color by number worksheet. Want The Entire Christmas Set? next article: The Prettiest Mermaid Party Ideas Ever!